I have been told this pattern is the fantastic for both beginners and expert quilters. And I agree! With no triangles in the pattern it is the perfect beginner pattern. But with the look of an intricate block, and wise color/texture placement of fabric the design element can intrigue the most expert of quilters. This pattern is truly the one to go to for the fast gift, or to highlight a special conversation print in the block centers. Why not finally make that quilt to show off your dog, cat, coffee, or designer collection of fabrics that you keep saying will happen soon! 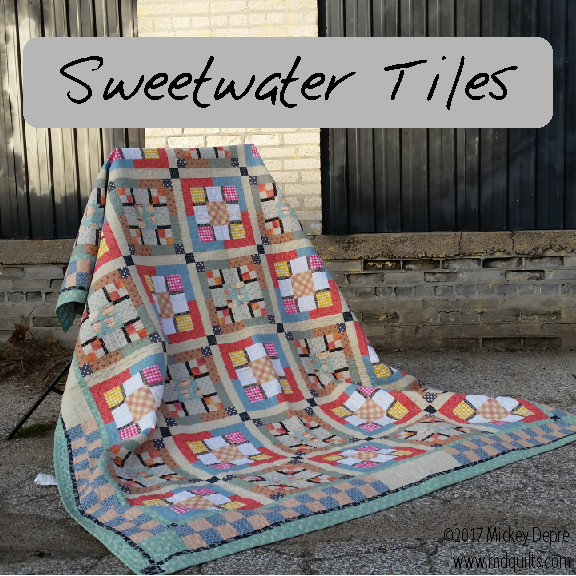 Now let’s be honest…just a few blocks are going to get finished in any workshop and I would rather spend the time with you creating blocks and learning all the tips and tricks then cutting fabric for a few hours. So in the classroom let’s play with scraps and learn. These blocks can then be used on the back of the quilt as part of this story of it’s making. See the supply list for further hints on fabric selection.